Welcome – It’s “Truley” Nice to Meet You! Hello, and welcome to my first official blog post! 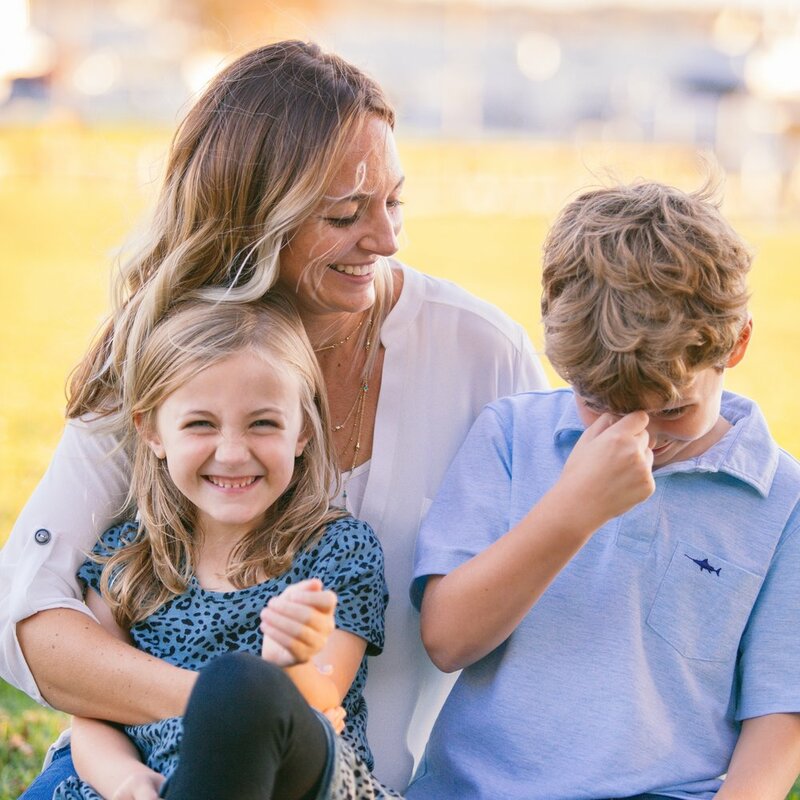 I am Kaki (short for Catherine), the owner of Truley Home, an Alexandria, Virginia-based residential interior design and consulting firm (and yes, the company name, “Truley,” is spelled correctly – it’s in honor of my two amazing children, Truman + Maley = Truley). Speaking from first-hand experience, I understand that it can often be overwhelming to navigate where to invest your home update and design budget to get the best results for your family. With this in mind, I have created this new blog as an outlet to share all-things design-related, and to help you make more informed decisions to transform your vision and dream into beautiful, functional living spaces. My blog will be based on experiences and adventures that I encounter in my everyday life as an interior designer and will offer a glimpse of images and spaces that inspire me in my own designs. It’s a place where you will get to know a little bit more about my family and me, watch unique project reveals unfold and discover some great product finds. I also plan to share some tried-and-true design resources – and, of course, those that I stumble upon along the way. In my home, my goal in my design approach is to exude feelings of warmth, comfort, laughter, and my deep love for my family and friends. Interior design and beautiful living spaces are my passion – I grew up in North Carolina and spent my childhood surrounded by stunning design and art through the influence of my mother and grandmothers. Before launching Truley Home in 2014, I gained over 20 years of valuable design experience working for a Northern Virginia-based remodeling company. My experience serving as a lead kitchen and bath designer for so many years helps me bring a unique design intuition and practical approach to my remodeling projects today. My goal when working with clients is to create spaces that are inviting, that incorporate an unexpected element in the overall design, and most importantly, that tell a story about that individual or family. 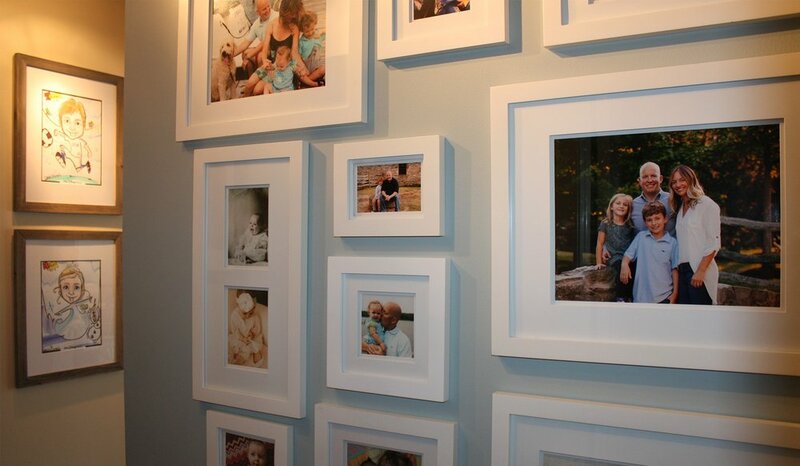 Over the years, my husband and two children have inspired me in creating spaces in our home that tell our family’s story. I strive to offer that same storytelling approach and space to my clients. In fact, that is the part of the design process I love the most – helping real people make their home “Truley” theirs. 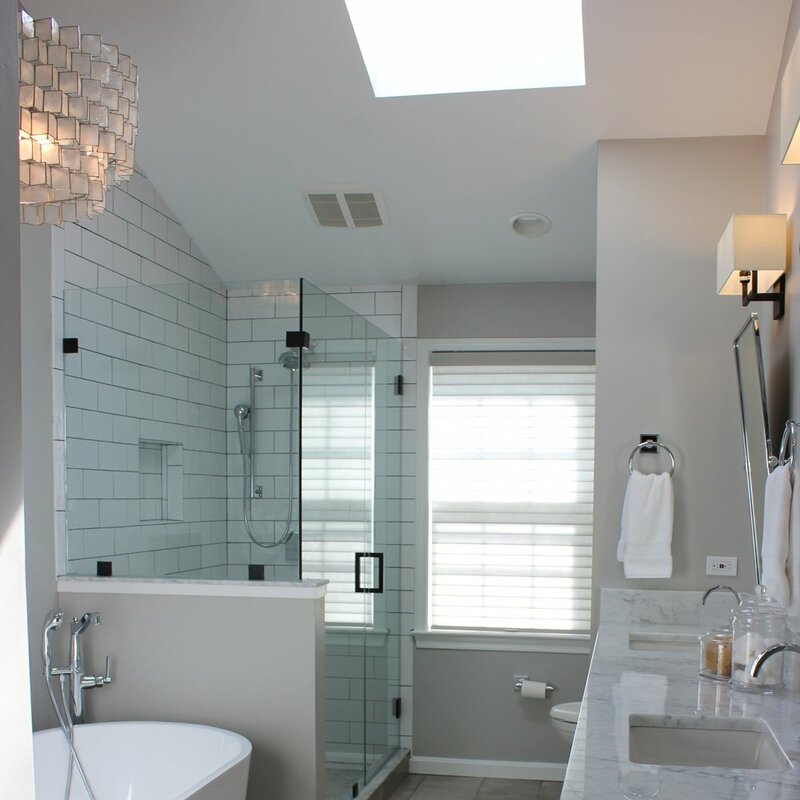 Bathrooms are another room I love to design. I enjoy creating a place that is yours to refresh, recharge and relax in, and I welcome the challenge of achieving that feeling even in the smallest of spaces. Don't get me started on the topic of color! I am slightly obsessed with the paint wheel! 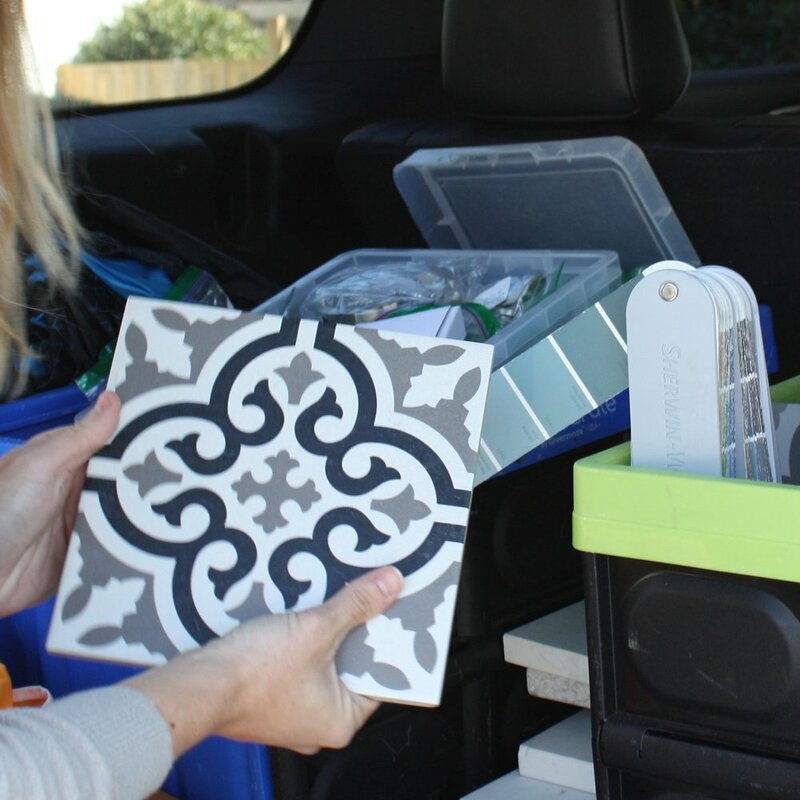 In fact, some of my clients affectionately compare my car to “Mary Poppins’” bag, with an abundant supply of endless design-related resources including tile and cabinet samples, innovative hardware, cool countertop pieces among other knick-knacks. The adage, “Never say never” applies to many things in my life. While I have always found it daunting to put myself out there in the public eye, I now realize that you only live once, and that it’s important to test out new waters and try new things. For example, I never thought I’d take the plunge into the world of Crossfit, but I’m now celebrating five challenging, yet rewarding, years in this world of fitness. I can now say the same thing about entering the world of interior design blogging, too! My family has been blessed to have Bogue the Goldendoodle (age 13) in our lives for many years. Recently, we decided it’s time to expand our brood even more, and we welcomed Goldendoodle puppy, “Bailer,” into our home in March. Finally, one more special thing about my family: we love spending as much time as we can together on the Potomac River on our boat. For me, boating triggers a restful state of mind, helps our family step outside of our busy daily routines, and most importantly, allows our brains to recharge. It also provides a special opportunity for the four of us to carve out unstructured, relaxing together time. Over the last several years, I’ve been honored to create many beautiful residential spaces while growing my skills and passion for all-things design along the way. I have so many fun and exciting projects on the horizon, and I look forward to sharing the details about them on this blog in the coming months. Ultimately, my goal is to inspire you to design a home that creates a haven from the hustle and bustle of life – a place for you and those you love to gather, relax and celebrate each other. Thanks for stopping by, and welcome to my new adventure! Earlier this year, the Make-A-Wish, Mid-Atlantic chapter approached my friend and Home Decor, DIY, Lifestyle and Product Stylist, Sara Raak and me to see if we’d be interested in working with 15-year-old, wish child Hannah, who requested a bedroom makeover as her special wish. To say the experience was an amazing one is simply an understatement.